This package contains 82 AI aircraft, in a variety of roles, focusing on Italy and Japan, who are perhaps the largest users of the aircraft by the military and Government agencies. The aircraft were produced in conjunction with Brent Newman and Giorgio Perotti, who have kindly made scenery and flight plans for the aircraft. Apart from long and short nose versions and whether they incorporate floatation bags or not, there is a wide range of internal and external configurations in existence even for these two user countries alone. To cover them all to a good degree of accuracy it was necessary to create 16 different models. They will hopefully give sufficient scope for re-painters to work with in producing further international examples. To aid that a further generic short nose model is included with external equipment removed and a base green paint applied. 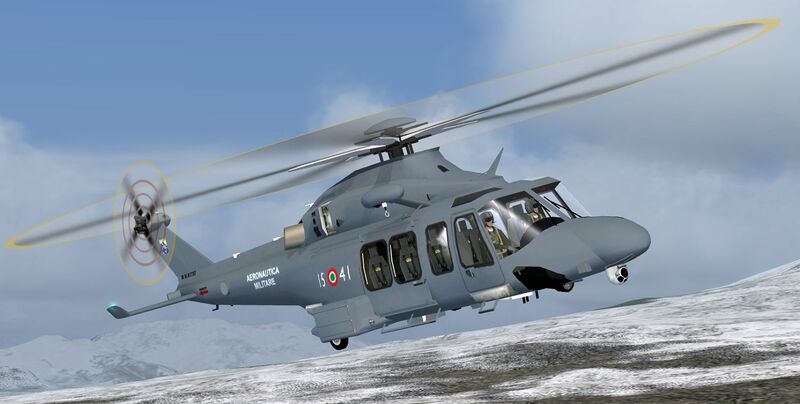 A Separate AW139 package is available for FSX/P3Dv4 in the MAIW Download Hangar. 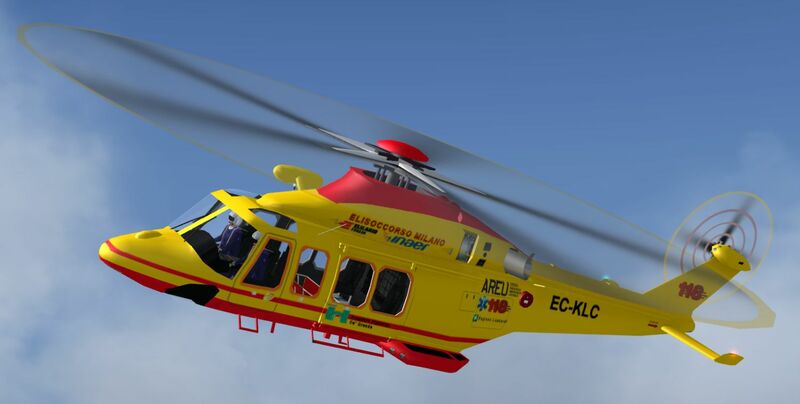 The file is called JYAI_AW139s_FSX_1.zip. A paint kit is also in the Hangar and is called: Paint_Kiit_JYAI_AW139s.zip.